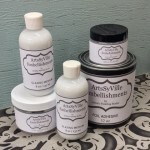 Artistic Painting Studio is always looking for new retailers to carry our collection of products that can enhance the materials you already carry. If you'd like to offer our products in your retail location, please complete and submit the form below. Products developed to enhance your painting experience. 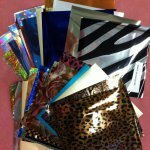 ArtsSyVille Embellishments has 12 different mediums, Glitter, Mica Flakes and Foils. measure 7” long x 2” diameter. There are 31 different roller patterns to choose from and each roller comes with its own handle. The APS Foil Collection has many different Silvers & Golds, Colors, Patterns and Hologram foils to offer. The Black & White Collection and The Stencilled Garden Collection.